Jayme's Thoughts: R.E.A.L. Women Devotional - "The Bride Has Made Herself Ready"
R.E.A.L. Women Devotional - "The Bride Has Made Herself Ready"
As the chocolate brown Rolls Royce pulls up to the curb, the on-lookers cheer and suddenly the bells of the chapel begin to ring a joyful melody. The bride steps out of the car and looks to see if her dress is wrinkled. She then presses out the ruffled places and looks up to see the stairs she must walk to meet her groom. As she reaches the doorway, inside are family and guests of the bride and groom who are awaiting her arrival. The groom is already at the alter in anticipation of his bride. 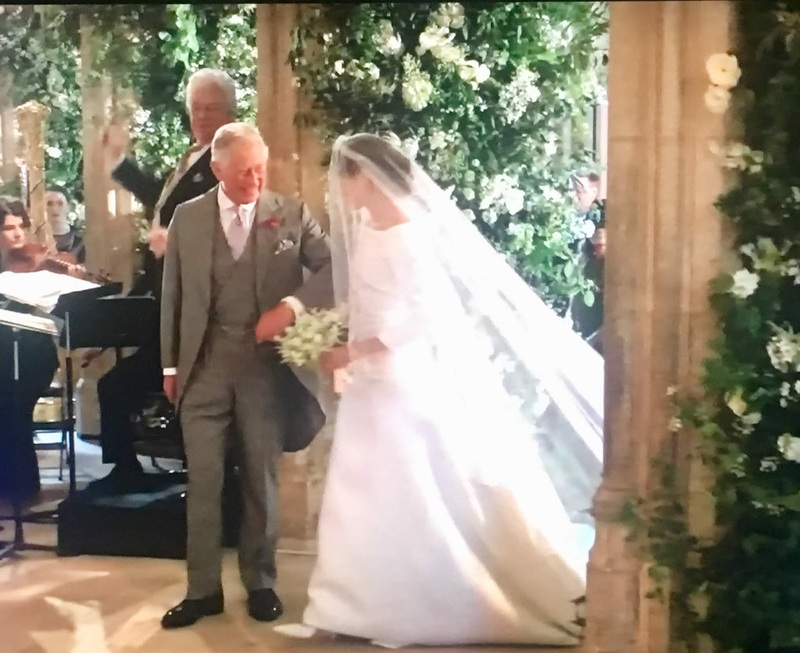 The music plays as she is met by her future father-in-law to finish the stroll down the aisle. Her dress is simple. No diamond necklace around her neck. Nothing to take away from the glow on her face on her special day. 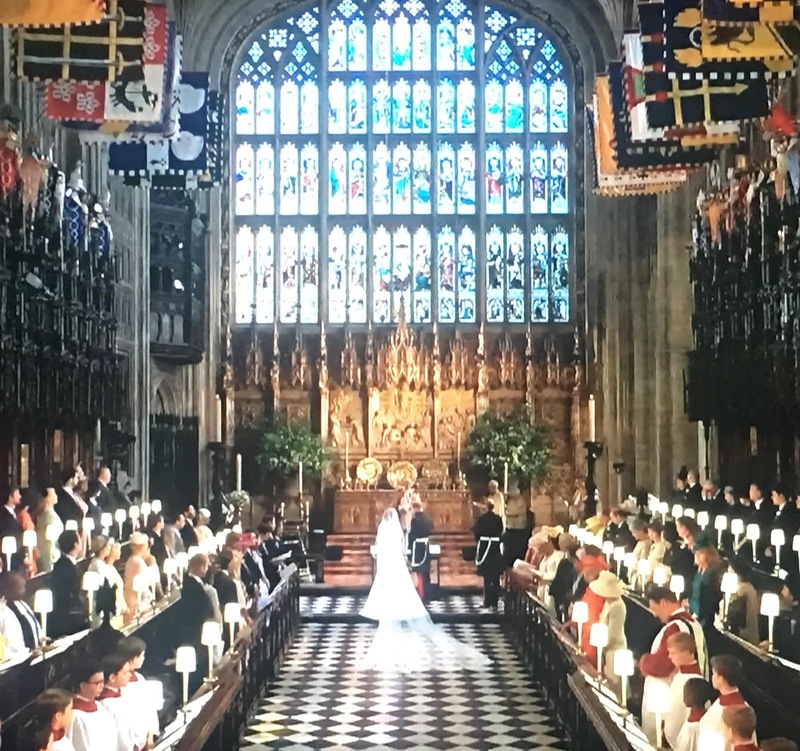 In fact, her dress didn't try to compete with the beauty of the church. It was very simple and it was just her pure beauty that shined. The hours of preparation before hand did not disappoint at the appointed hour. Televisions, computers, even cell phones all over the world were tuned in to this special day for this couple. says it all. It made me think of what Jesus will do the day we meet him face to face. Tears filled Prince Harry's eyes as he continued to look at this beautiful woman dressed in white. 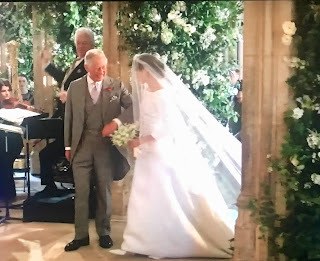 The reporter narrating the event was saying that men of nobility are not required to wear a wedding ring, but Prince Harry chose to wear a wedding ring. This is so significant to me. He loves his bride so much that he is choosing to wear a ring to show his commitment to his bride. Jesus didn't choose to wear a wedding ring for his Bride, instead He chose going to the cross that would be an eternal statement of his love for us. 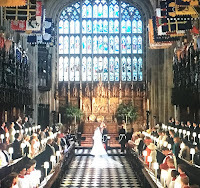 After visiting Westminster Abby recently, I learned that coronations are not done facing the people, they are done with facing the alter. The alter represents God. It helped me understand why a couple has their back turned to their guests as it symbolizes God approving of this union. The groom then holds the bride's hand and they place it out in front of the Bishop. He then wraps his cloak around their hands symbolizing them being joined together with God. It was so beautiful. If we have chosen Jesus as our Lord and Savior, we are his bride and it is just as important for us to prepare for our appointed hour. Ephesians 5 tells us that Jesus helps us to prepare by the washing with water through the word, to present us to himself as a radiant church without stain or wrinkle or any other blemish, but holy and blameless. (Ephesians 5:25-27) We are to be transformed into his likeness (2 Corinthians 3:18). This is our part of the preparation for that glorious day. Revelation 19:7 says "Let us rejoice and be glad and give him glory! For the wedding of the Lamb has come, and his bride has made herself ready." Let me encourage you today, if you have not met the Bridegroom who is Jesus, you can meet him right now. Call on his name, believe in your heart and you will be saved (Romans 10:9). Get in the word of God, get to know him and prepare yourself for him. If you are already in a relationship with the Bridegroom then continue to prepare yourself. The day is coming and we need to make ourselves ready. 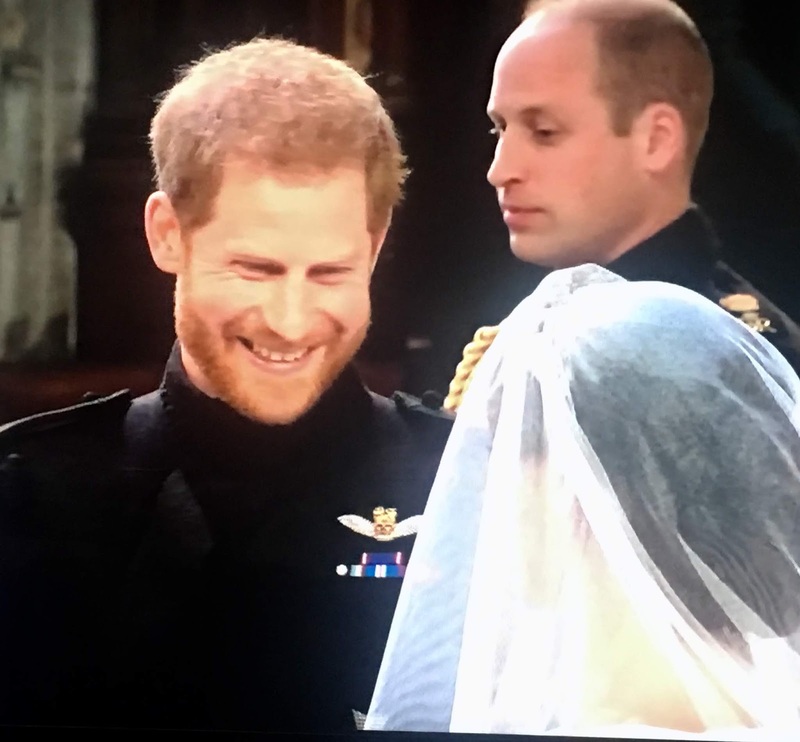 It too will be a wedding ALL the world will watch. I am married to a wonderful man named Jeff and I have two wonderful children Justin and Jordanne. We currently pastor Hills Church in Laguna Niguel.